Lisle industrial electrical contractor works with industrial businesses and commercial businesses such as food, warehouse, manufacturing and retail of various sizes delivering best in class electrical contracting projects that support your company’s needs. Industrial electrical services and commercial electrical services in Lisle, IL rely on Butterfield Electric for an array of electrical services such as electrical retrofits, electrical systems in new construction, electrical upgrades and more. We also work with industrial and commercial companies when relocation is in the plans. We can help you get your new facility or building ready and well as move any production lines in order to make your move easy. Learn more about our industrial electrical services. Low and medium voltage electrical systems in Lisle are installed and maintained by Butterfield Electric, keeping your company safe with low voltage security systems, CCTV, fire alarms, as well as medium voltage systems that keep your operation running with small and mid-size automation projects. Learn more about low voltage service projects. Install, maintain and upgrade LED lighting systems, specialty lighting, exterior lighting or other interior lighting by a licensed and experienced company such as Butterfield Electric. Each of our electricians provide high quality workmanship beginning with an analysis of what your facility or business may need. We’ll develop a detailed design using energy saving and cost effective lighting systems making an impact to the bottom line. Let us know if you need help with obtaining your rebate. We help our customers get the rebates that saves additional costs for the investment in conservation. Get more information on Butterfield Electric's industrial lighting services. Material handling projects are a great way to save on time, labor and costs. Not many electrical contractors have the experience in material handling, but we do. We can help your business in Lisle with concept development to specification through to design and engineering. Our job is to ensure that your project works as efficiently as possible. Learn more about our extensive material handling services. Butterfield Electric is a UL508A certified control panel design and fabrication specialist in Bensenville. Our electrical team has extensive experience working as a mechanical and electrical system company working to keep your conveyor lines and production lines operational. Our skilled fabrication specialists and electricians design the control panel, schematics, manufacture and quality control test the control panel. Our company performs the PLC programming ensuring the best possible control panel solution for your facility. Learn more about our control panel design, fabrication services. 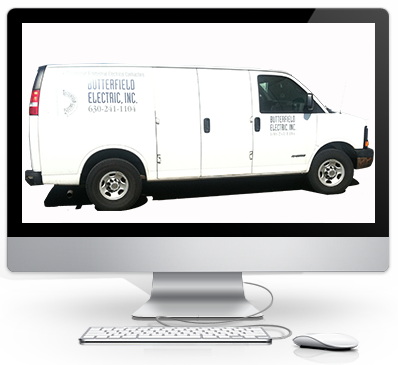 Butterfield Electric works every day on industrial ovens, heat transfers and industrial freezers installing and maintaining their electrical power and wiring systems. We service many industries including food, beverage, manufacturing, electronics and more. Get more information about our electrical services on your industrial equipment.